The beauty and grace of the Hindu goddess Kali is embodied in this delicate set by Elama. 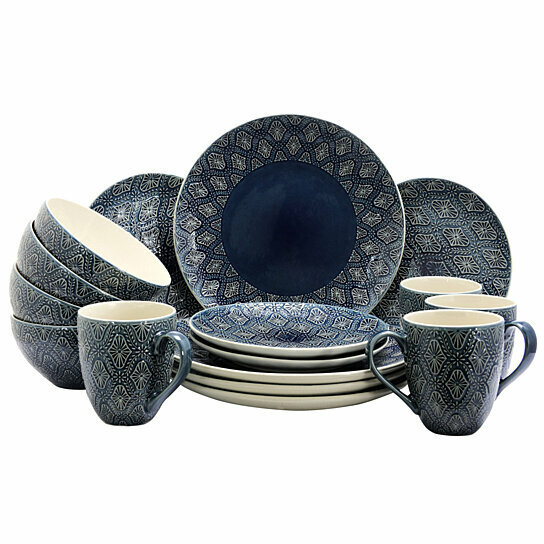 Each piece of this set features debossed Mandala-inspired patterns carefully laid on top of an exquisite blue-green hue to elevate your meals and compliment your home decor. The bowls and mugs feature a stone-like gentle speckled cream color to keep you in-tune with nature as you enjoy your meals and beverages.